This is a picture I took from the same bird sanctuary I had talked about at last weeks post. I love how the colors of spring come out gradually. It is as if you are looking at a sepia picture; but, oh, there is a spot of red. The grays and the brown's are even beautiful. My hope with this blog is that you are inspired to take a moment and read the scriptures. I am not a preacher. I am a daughter of our Heavenly Father that endeavors to walk with Him. This verse is in a chapter of the Bible where the psalmist is being persecuted for living his life the best he knows how according to God's Word. He knows he is not perfect, he knows at times he sins, but he knows his Heavenly Father is always there for him. Even though God has forgiven him, the world wants to publicize his failures and even make up a few for good measure. 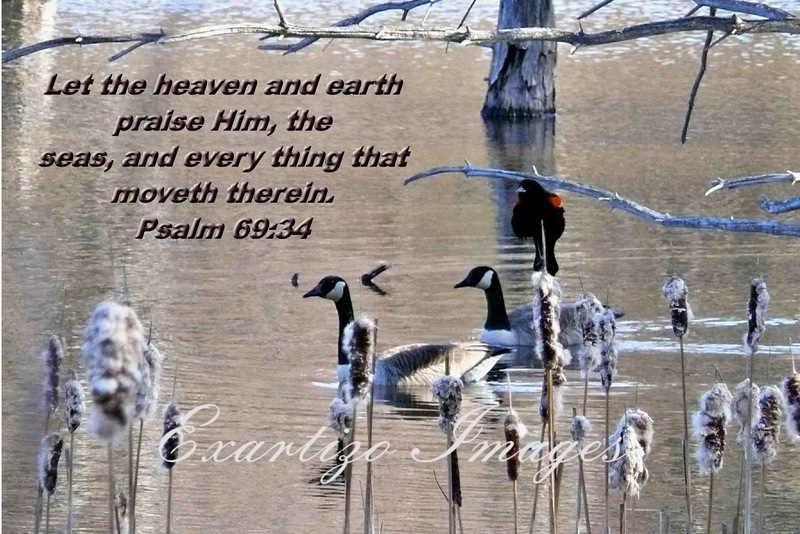 He finds his rest in keeping his eyes on the Creator and enjoys the comfort of praise. 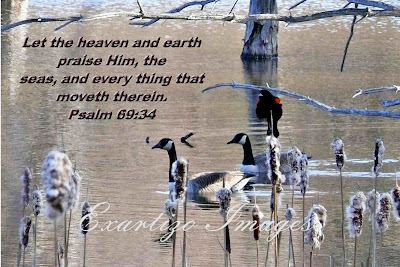 In the midst of your troubles, praise Him. You will be amazed how small troubles seem, when you keep your thoughts on Him. How moving, and how true. It is in the tough times in our lives that we need to turn to our faith more than ever, and there we find our strength.